Dust and Scratch Removal”. It is fact derived from the SRDx feature included in the Silverfast scanning application produced by Lasersoft AG. As a plug-in SRDx is being marketed separately through its dedicated website. Silverfast also offers iSRD for scanners which include infrared channel output. This provides an effective way to remove the majority of dust and scratches from scans (although the patching itself is not perfect). But for some film types, in particular black & white negatives and Kodachrome, this doesn’t work. SRDx uses some form of contrast detection coupled with a proprietary algorithm to detect dark or light defects. Back in The Old Days (i.e last century) there were a number of such Dust and Scratch removal plug-ins, in particular one from Polaroid. They didn’t work very well, and neither did (or does) Photoshops’s own filter, which is a very blunt tool. However, Photoshops current manual healing tools are very good, so what can SRDx offer ? Well, in a word, automation. SRDx is actually fast, flexible and effective. I have a large hoard of Kodachrome slides, and every few years or so I try once again to revive some of them. Many years ago I stored them very carelessly (I had no idea at the time) and they have been infected by fungus and are often very dusty. Sadly SRDx can’t do a lot about the fungus - although in some cases it has helped - but it can make short work of other imperfections. Here’s an example. 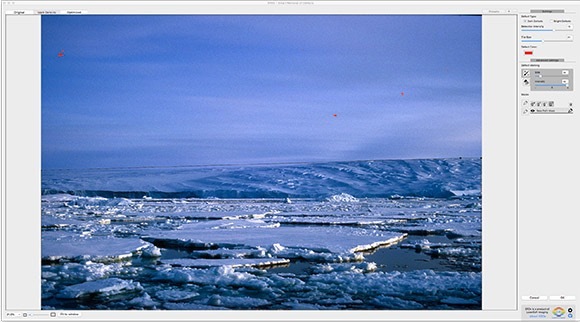 The first image is of a complete Kodachrome scan opened in the SRDx plug-in in Photoshop. It presents a simple, clear User Interface. As mentioned, SRDx is also available within Silverfast & Silverfast HDR, but there I find it a lot less useful. Since Silverfast works with by default previews, for SRDx to work you first need to make an “HQ Preview”, which is Silverfast Marketingspeak for a full scan. You then have to wait while it applies all its processing, which for a medium format high resolution scan can take forever. In such a scenario SRDx is an exercise in frustration and essentially useless. It isn’t that much better in Silverfast HDR. On the other hand, in Photoshop, it is very fast. Finally the patching is also better in the plug-in version. The masking took is useful but it would appear that despite the fact that you can name the mask (in Silverfast you have to), in fact you can only have one mask. Also, for some reason, in the Windows version masking is not included. This would be a major issuer are if I was a Windows user. In conclusion then: 15 or 20 years ago this would have been a no-brainer. 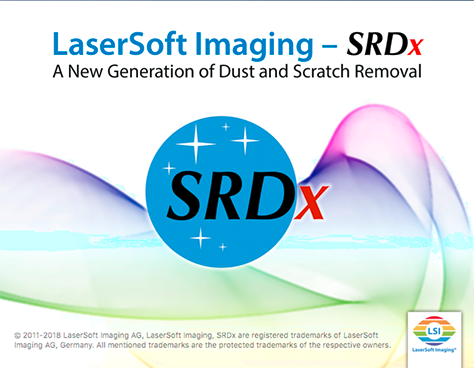 Lasersoft AG have taking SRDx out of its constraining environment in Silverfast and given it a new role. This enables a much faster workflow. If, like me, you have a lot of non-Infrared compatible film to scan and clean, SRDx is a considerable timesaver and recommended. At least the Mac version. At €49 it is reasonably priced, much more so than the initial €99 which was ambitious even by Lasersoft’s standards. For Windows, due to the mask issue, personally I would not recommend it. From time to time Lasersoft offer special pricing - I had an offer last year at €20 which I missed out on. At that price I’d say go for it, on both platforms. SRDx doesn’t work miracles but it is pretty good - better than I expected in fact - and if you have a need for it, it is worth the price. Unfortunately for Lasersoft, I suspect the market is small, and getting smaller. But I wish them good luck with this initiative. One of the least interesting parts of the digital image workflow is nevertheless one of the most critical: getting files off of a memory card and storing them safely on disk. The absolute basic step here is safely copying data, which generally is a solved problem. However there is a bit more to it than that: things like renaming files to something meaningful, rather than the cryptic names so beloved of digital camera designers, storing them in a defined structure based on simple attributes such as capture date and also more advanced ones such as camera serial number, adding basic metadata, making safety copies in another location, and automating all of the above are valuable features. Most imaging applications such as Lightroom or Capture One have some degree of ingest / import functionality, but I’ve always found it to be incomplete in one detail or the other. Also, I prefer to keep this part of the workflow independent from editing and developing. For many years I’ve used the dedicated applications produced by Marc Rochkind, ImageIngester Pro and later Ingestamatic. These are very powerful and allow an almost endless amount of customisation, supporting all I’ve described above and more. Much more. However they have two drawbacks: the user interfaces are indescribably awful, to the point that it seems intentional. It would be hard to implement such dreadful usability purely out of chance. That can be overcome with time, and the fact that both applications are essentially “set and forget”. And once they are set up, the underlying code proves to be fast and ultra-reliable. The second drawback, however, is a show-stopped: last year, Rochkind, apparently defeated by changes to the MacOS API, announced that he was discontinuing development, and ending support at the end of 2017. Ingestamatic still works, at least under OS X Sierra (I see zero reason to “upgrade” to High Sierra), albeit with a prominent kludge, but it’s a dead parrot. So, I had to find an alternative, which is easier said than done. Actually I do have a license to one product which does fit the bill, PhotoSupreme, but that is so clunky that firing it up just to import files to disk is too dire to contemplate. Another alternative is Photo Mechanic, but I don’t really need 95% of its functionality, so paying nearly $200 was not attractive. I was getting close to doing do, nevertheless, when I came across a reference somewhere to a product I’d never heard of, Full Frame by Inland Sea. Superficially, Full Frame follows a similar philosophy to Ingestamatic. It is designed to offer comprehensive photo browsing and importing support, no more, no less. To be honest, it doesn’t quite have the depth of Ingestamatic, but what it does have is presented with far more panache and grace. Full Frame has a deceptively simple UI. When no source is selected (card, camera or folder) it is basically blank. But as soon as you identify a source, using the left dropdown, it populates the main window with thumbnails. Clicking on Copy will then swiftly copy all files (or just a selected subset) to the destination volume, identified in the right dropdown. That in itself is obviously no big deal, but the usefulness of Full Frame is revealed when you peep behind the scenes. Full Frame window showing contents of the SD Card from the Olympus TG-5 Tough which I just received as a gift and was trying out today. Within Preferences, the Filenames dialog allows pretty much any folder name / file name pattern on the destination volume to be specified. Well, it works for my weird, necessarily convoluted scheme, anyway. Metadata Preferences allow a wide range of Exif, IPTC, GPS, XMP and other metadata fields to be applied to imported items. These can also be arranged as custom presets. This appears to be very extensive and powerful, approaching functionality in the far more costly Photo Mechanic. I can’t really evaluate it as frankly it is more the sort of thing that, I imagine, would appeal to event photographers and suchlike. But it looks pretty useful. 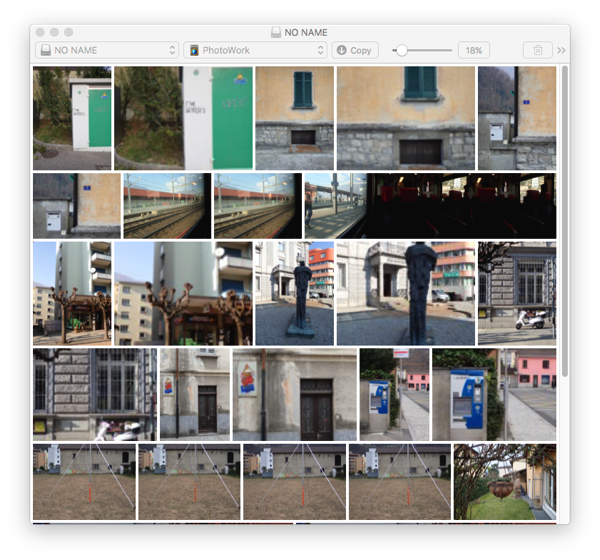 A floating “Inspector” window shows an extensive list of properties of the selected image. I guess this might be useful, but so far I haven’t really found a practical use for it. I’ve been using Full Frame for a month or so now, and it has happily swallowed everything I’ve thrown at it, including indigestion-inducing Sigma DNG files. I have had some occasions where it appears to sit there thinking about life, the universe and everything, before suddenly springing into life and, apparently, copying several GBs in a few seconds. This is quite weird, as it is totally impossible to copy data so fast over USB3. I have a hunch that there is some issue synchronising between the actual ingestion process and the UI updating. There are some things I’d like to see Full Frame do better. For example, it would be very useful to be able to use certain EXIF fields in the folder / file name template. 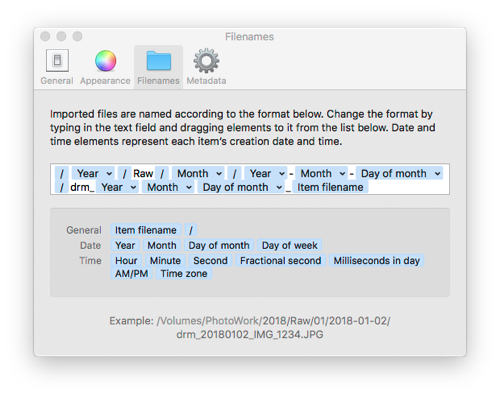 It would also be very useful to be able to save variants of folder / file name template to be selected at Copy time, or even better, associated with a given camera. It seems from Metadata preferences that code to do something very similar, in both cases, already exists in the app. Oh yes, and one other thing: these import-specific configuration dialogs (Filename, Metadata) should not be in Preferences, but rather have their own menu item / window. In my humble opinion, anyway. But finally, I’m afraid that apart from extremists like me, there isn’t much of a market for Full Frame. Also, the name doesn’t really describe the functionality, and given that I’d been looking around for something like this, but it took me years to find it, perhaps it needs more targeted marketing. Despite this, and my light criticisms, I thoroughly recommend Full Frame. It costs CHF 29 for full functionality, with alternative restricted or pay-you-go schemes. Compared with Photo Mechanic at $150, it’s a steal. In a bit of a fit of retail therapy, the other day I decided to buy a license for Alienskin Exposure 2. This is an application with its roots very firmly in film emulation, but which in recent years has expanded into a full blown digital RAW file processor and - to some limited extent - organiser. In the past I've written a bit about trying out various film emulation methods, and being generally unconvinced. Since I used film extensively, and still do to some extent, I do have a reasonable idea of what I would expect such software to deliver, and I also the real thing to compare against. I'm not really interested any more in trying to emulate film, as such. If I want a Portra look, I'll use Portra. But what does interested me is being able to apply a preset, or whatever you want to call it, to a given batch of photos, thereby giving them a coherent feel, while at the same time being able to speed up the process of all this adjustment stuff and get to the actually interesting part (for me, anyway) of editing and publishing. I tend to get so overwhelmed with the adjustment part, in the limited time I have, that it seems I'll never get to the actual point of it all. I also horrify myself with the sheer quantity of photos I take, even when I'm under the impression that I'm a model of self-restraint. This "preset" approach I find is more adapted to my urban photography than landscape, or whatever you want to call it. Sometime last year I took advantage of a special offer and bought a VCSO film preset package for Lightroom, just to explore it a bit. Clearly it didn't grab me much, as by now I'd practically forgotten about it. 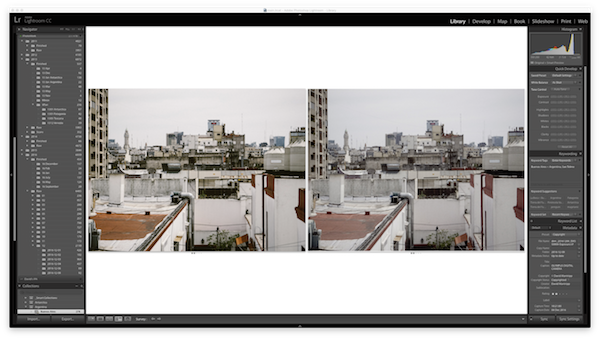 However earlier this week, I started working on a smallish set of photos recently taken in Buenos Aires, and decided to try applying the VCSO Portra 400 presets. I quite liked what I was seeing, although the results did seem a little contrasty to me, and VCSO's idea of what the ultimate hipster cliché 2-stop overexposed Portra 400 looks like doesn't correspond at all to what I see on film. I had tried out Exposure a while ago, but at that point felt it didn't offer me anything. But anyway, needing an excuse to spend money to make me fell better, I tried it again. And I'm glad I did. The interesting thing is, when I first put two versions side by side in Lightroom, one processed through VCSO, the other in Exposure 2 and imported, I immediately thought I'd wasted my money. The VCSO version was much more like Portra to my eyes. Then... I realised I had mistaken which was which. So the "good" version was from Exposure 2. Of course this is 150% subjective, and there's no real logic to it. But I repeated the experiment several times, and confirmed my opinion. However, the VCSO versions most definitely have more of that "pop" that people apparently want. But if I wanted "pop" I'd used Ektar, not Portra. I'm actually not going to say which is which here. But you can probably guess. So I'm pretty happy with Exposure 2, but working out how to use it is a bit tricky. It can work standalone, including a file/folder based browser (where it recognises Lightroom star ratings, which is handy), or it can work as a plugin. The problem with working as a plugin is that it receives a TIFF file generated by Lightroom with basic processing baked in (e.g. Adobe standard profiles). That isn't an ideal place to start from, which I imagine is one of the drivers behind expanding the reach of Exposure in the first place. The standalone Exposure 2 is actually quite impressive. It doesn't seem to have received much praise or attention, but from a toolset point of view it combines a lot of the better aspects of both Lightroom and Capture One, and adds a twist of its own. The layer methodology, for example is better than either of its two august competitors. Exposure 2 has a lot of tools more specific to customising film emulation, inherited from the older plug-in only versions, and Alien Skin's from Bokeh application seems to be integrated (although that's not something I'm all that interested in). Apparently it also has automatic lens correction. But it doesn't have any chromatic aberration removal that I can see, or any perspective correction. Or, indeed, anything approach a user manual. Another example. Again, you decide. I'm quite comfortable with Lightroom these days. I appreciate the integration with things like Lr Mobile, and Adobe Spark, both of which allow me to make better use of my commute time. Lightroom, unfortunately, is an awful organiser /editor, but it is less awful than anything else on the market. There's no point any more lamenting Aperture, PhaseOne seem totally clueless on what to do with MediaPro, so Lightroom will have to do. 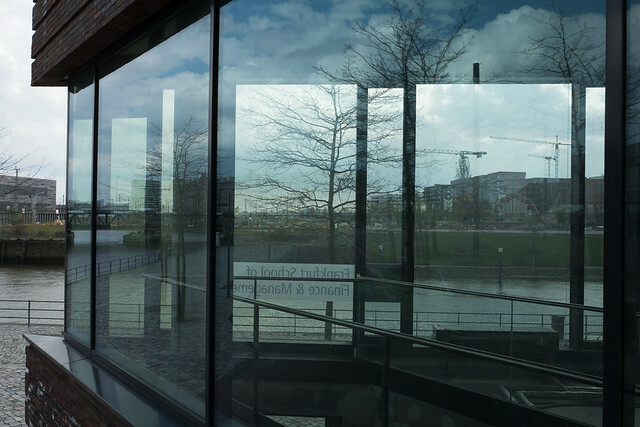 And since organising and editing is a core part of my creative process, Lightroom is as well. So, the compromise is to use Exposure 2 standalone to generate alternative versions, and import them into Lightroom for any final tweaking and management. It would be nice if Alien Skin could add the kind of "slingshot" feature in Iridient Developer, which when receiving a TIFF from Lightroom, instead looks for and loads the associated RAW, and then when saving overwrites the TIFF, leaving Lightroom none the wiser to the sleight of hand. I'm also a bit puzzled why Exposure 2 does not include modern Portra 400 emulation, but just 400NC and 400VC. 400NC is close enough, but still, I would expect currently available films to be emulated. 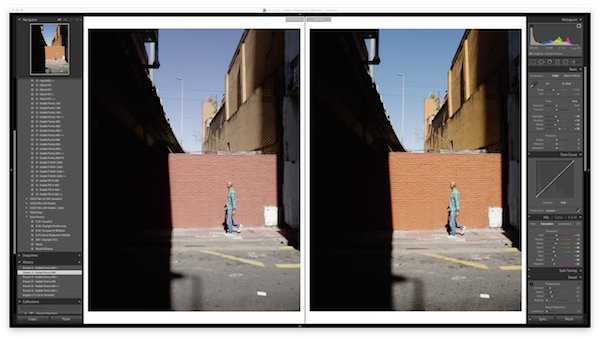 Otherwise, I'll repeat what I said earlier - Alienskin Exposure 2 is actually a pretty good piece of software, and not only for film emulation. I'm surprised it doesn't get more coverage. 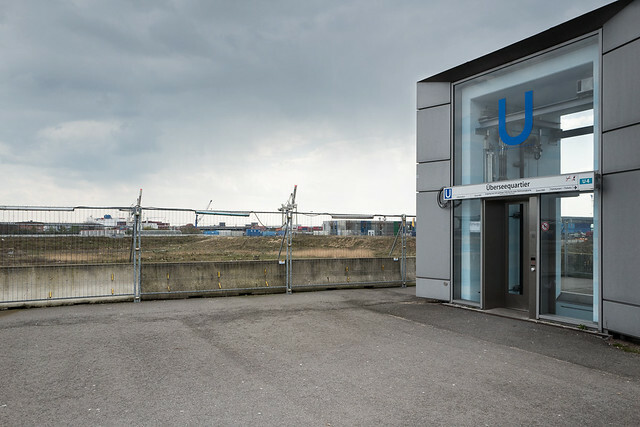 Another €4000 bites the dust? New camera! Well, sort of. 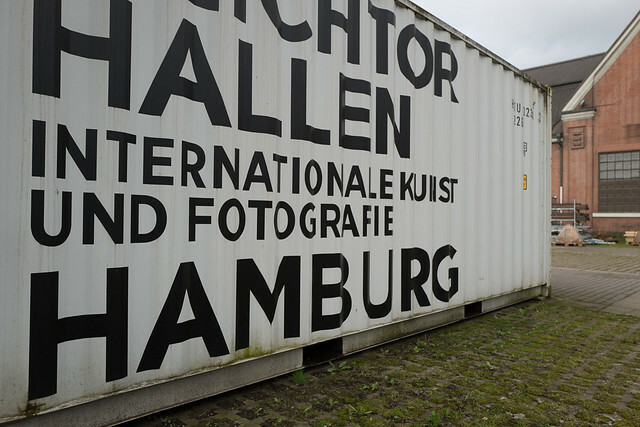 It isn’t mine, but LFI in Hamburg kindly lent it to me for a weekend. As unlikely as it sounds, up until last weekend I had survived without ever using a Leica. 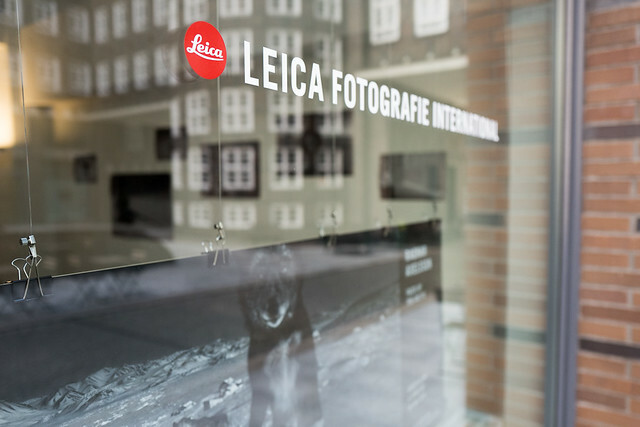 In camera forum land, Leicas are general the subject of scorn, being reviled as expensive, “under-specified” neck jewellery for poseurs and millionaires. I’ve never much cared for these debates, although there is a certain fascination in observing them. I’ve never given a lot of thought to owning a Leica, first because I can’t afford them, and second because there isn’t actually a model that particularly appeals to me. However the Q does, marginally, so given the opportunity I was happy to try it out. 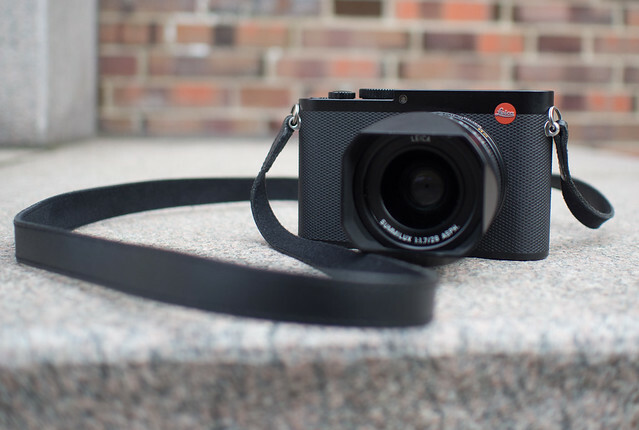 So, the Leica Q is a fairly compact fixed focal 28mm camera, with built-in viewfinder. The lens is a fast f1.7 summisomethingortheother. I’d seen one once in a shop window, and it struck me as being pretty big, but in fact it feels quite compact, similar to an Olympus Pen, but of course a lot bigger than the Ricoh GR which could be considered to be a rival. The Q feels very, very solid in the hand, and personally I find it very comfortable to hold, with the recessed thumb grip being a very astute piece of design. I guess some might describe the feel as luxury, but to be honest I’d go more with very well built precision engineering, and a good example of form following function. 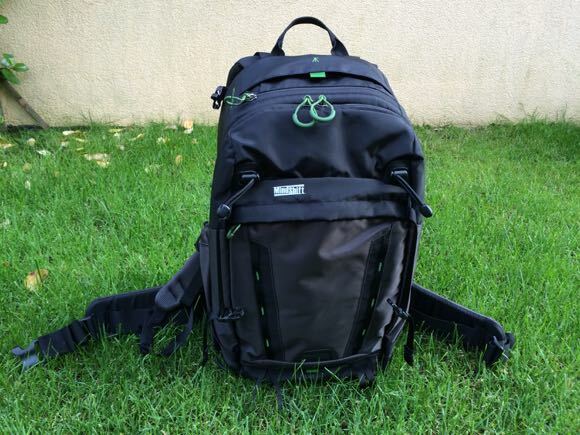 When you pick it up, it simply demands to be used. A bit like the GR, in fact. 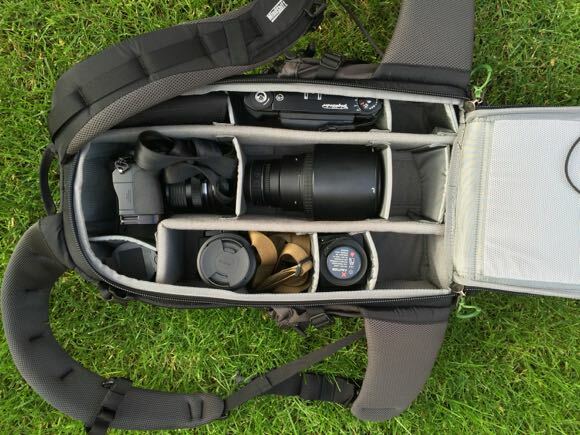 It’s certainly an enjoyable camera to use, and the results are pretty good, too. Are they €4000 good ? Well, that rather depends just how wedded you are to a 28mm field of view, and how much disposable income you have. I could stretch to €600 or so for a Ricoh GR, but €4000 for a Leica Q isn’t realistic in this household. Please note, I’m not saying you don’t get value for money - by and large I’d say you do: apart from the flawless construction, you get a fabulous electronic viewfinder, by far the best manual focus system I’ve seen on a digital camera, and of course a lens which apparently is practically worth €4000 on its own. 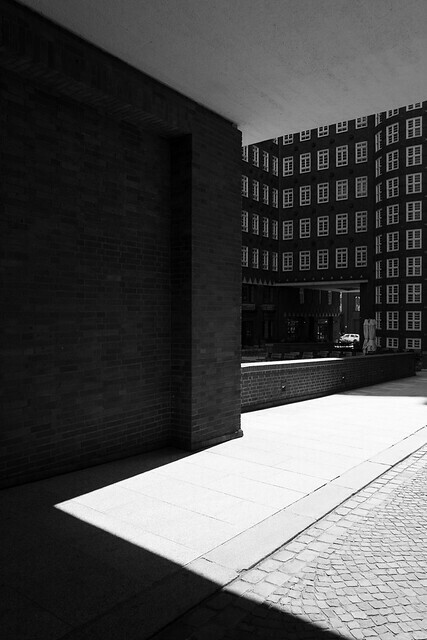 The Leica Q isn’t perfect though, and the weak spots in my opinion are in the electronics. There are some weird handling glitches, for example the digital horizon vanishes when you half press the shutter button - just when you need it most. And also with the shutter button half-pressed, when you rotate the aperture ring the aperture display in the viewfinder doesn’t update. The menu could do with a little bit of categorisation, and I could not find a way to configure playback to show the image only, free of distracting icons and clutter. I expect a touch more refinement in that department at that price. Nevertheless, I was sorry to have to give it back. Not so sorry to be truly tempted to buy one, although a 35mm version could conceivably push me over the edge. 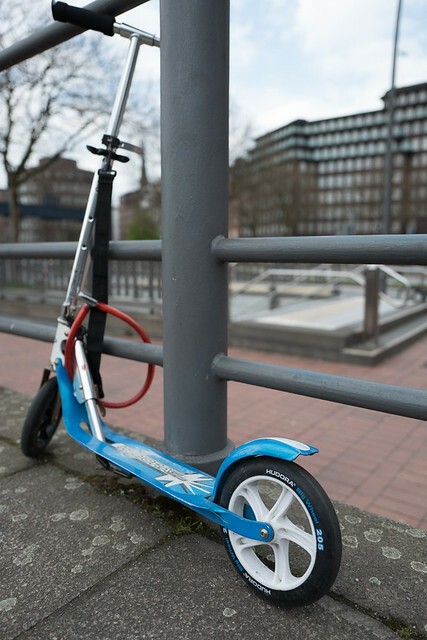 For a moment I could pretend to be William Eggleston... bet he could afford a Q. And put it to good use, too. See all entries in "Product reviews"